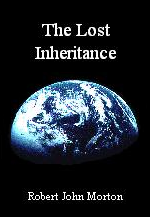 It is reasonable to suppose that in the ancient past, our ancestors started off as equal co-inheritors of the Earth. But as history unfolded, circumstances must have arisen where it seemed expedient to one to sell his wealth-generating inheritance to another. Perhaps he had a catastrophe for which he needed the extra short term gain to get back on his feet, while the buyer chanced upon an opportunity to profit from the extra productive capacity. The upshot was that wealth-generating resources became items to be traded in the marketplace. It may have seemed a good idea at the time, but generations to come would see only too clearly that their forebears had sold their birthright for a prov­erbial bowl of soup. Others had their wealth-generating resources taken from them in acts of war or deception. Thus were born the generations of the dispossessed. These hapless masses could transform their labour into their needs of life only at the whim of a master, who would condescend to allow them to use his resources to turn their labour into his wealth in return for their keep. Such a master had no obligation to keep them. He would only do so if, when, and for as long as it remained profitable for him. They were thus totally dependent on him. They were his slaves. But why should I be a slave just because my ancient ancestor sold my birthright. I can understand that he should be free to sell his birthright, but my birthright was not his to sell. I am one of 6,000 million† sentient beings which currently inhabit this planet. I arrived here with nothing. When I leave, I will take nothing tangible with me. But while I am here, my life-process can be sustained only if it has a continuous supply of certain vital needs. The only source of these needs is the planetary bio­sphere. This will supply my needs only in response to my labour. I therefore hold it to be a self-evident truth that, by right of birth as one of 6 billion† like beings on this planet, I should be granted the exclusive right of abode and sustainable economic exploitation of one six-billionth of the productive and mineral resources of its biosphere. The human life-form is, by reason of its physiology and life-cycle, constrained to live in family groups. The 6,000 million† individual inhabitants of this planet are thus grouped into something of the order of a billion families. Within any family, some individuals are economically productive while others are not, because they are too young or too old. But they all need water, food, clothing, warmth and shelter. These can only be won from the Earth's biosphere by the labour of those who are cur­rently economically productive. The nature of the human family unit therefore dict­ates that its individuals' birthright portions of the planet's biosphere must be operated as a single integrated inheritance. This integrated packet is what I refer to as a gleba. The size of a gleba is therefore determined both by the size of its family and by the size of the individual's portion. The individual's portion is, in turn, determined both by the current population of the planet and by the productiveness of the land and climate within which it is situated. The concept of the gleba must therefore be somewhat fluid, and the gleba-based home should be to some extent mobile or at lease moveable. Not an unreasonable engineering challenge for the artisans of a high-tech future. I therefore claim that I - and the Queen of England, and the Tramp of Borough High Street, and the starving child of Africa, and every other human being on the face of this planet - must be given, by right of birth, currently† one six-billionth of its bio­spheric resources to occupy and use freely and without constraint for personal economic gain and support. I further claim the right to receive freely from the rest of society in my times of need and I acknowledge my duty to give to those in need during my times of plenty. I also claim the right to be able to trade the fruits of my specialist talents and skills through a truly free market. I was born on Planet Earth 54 years ago, within a small area of its surface known as England - an area particularly rich in the natural means of sustaining human life. As a British subject I can claim nothing. But as a citizen of Planet Earth, for the reasons I have established in this book, I take it to be my right-by-birth to have the life-long use of my fair share of those means. Since my forbears were robbed of their rightful share of the natural wealth-producing resources of this country, I reclaim custody of them as my fair share of the means to turn my work into wealth. This is what I and every citizen of Planet Earth should have by right of birth. It is what the faceless few owe us. We are their creditors and it is long past time to foreclose. Under the present power structures of this world, this is of course an impractical and impossible piece of wishful thinking. It is, by all moral reasoning, nonetheless a rightful claim. Its having been wrongfully withheld from me by the principalities and powers of this world, must be the starting point of any discussion of the rights and wrongs of my present status as 'an unemployed layabout' living on State welfare.